Last week, I attended the finale of the latest Cabinet Office Policy School. Across the week, four teams had been working up their own policy proposals aimed at improving life chances for young people in the London borough of Haringey. Each then presented their idea to a judging panel including Nick Walkley, Chief Executive of Haringey Council, and Ronan Dunne, Chief Executive of Telefonica UK. I have often spoken of the need to improve the professionalism of our policy-making, particularly around commercial expertise and implementation. Policy School is an excellent example of how civil servants are taking it upon themselves to help make this a reality (and at a fraction of the cost of many traditional policy-making courses). 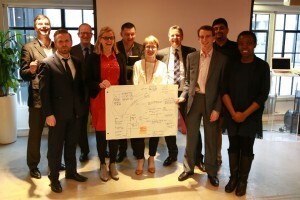 As part of the Policy School programme, civil servants from Cabinet Office and the Treasury came together with public servants from Haringey Council and entrepreneurs from Telefonica’s business accelerator. The aim was to learn from leading policy officials, expand the range of tools available to them as policy makers – from behavioural insight to design thinking, commercial partnership to implementation – and apply those tools to a live policy problem (improving life chances). 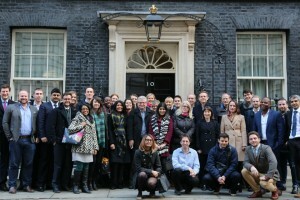 As well as taking part in interactive sessions to hear from expert practitioners, teams visited 10 Downing Street, where they gained insight into the political drivers of policy. They also visited the frontline, meeting teachers, community groups and social entrepreneurs in Tottenham. Through this process they developed and iterated policy ideas of their own, ideas that they then pitched in the Dragon’s-Den-style final session. 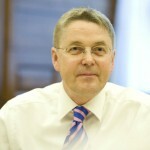 I have been hugely impressed with Policy School and initiatives like it that have sprung up – often as self-starting initiatives delivered outside people’s day jobs – to build the professionalism and innovative capability of the Civil Service. I have long championed five annual days for learning and development for civil servants. Cabinet Office Policy School is an excellent imaginative example of how we can make the most of that allowance, by harnessing the talents and energies of current civil servants and embracing a creative, immersive learning concept that really drives participants to get the most out of the experience. Congratulations to all those in the latest cohort to go through Policy School. The reaction of the judges was testament to the quality of the work produced. Not only were they full of praise for each of the presentations, Haringey Council and O2 offered to put up funding to run a pilot of the winning team’s proposal. People sometimes underestimate just how innovative and entrepreneurial civil servants can be, but I was enormously impressed by all the participants in this year’s Policy School. The proposals being generated – and the programme itself – set a very high bar, and we look forward to working together to turn some of these ideas into reality. Several other department are running programmes similar to Cabinet Office Policy School, and I encourage all civil servants to take advantage these opportunities where available. I’d also like to thank the excellent Cabinet Office team who have been running Policy School since 2012, and all those who give up their spare time to make such worthwhile initiatives a reality. Long may it continue.